A dynamic cloud-based software as a service (SaaS) tool, MESH AI makes the task of scheduling dramatically easier and faster. MESH AI was founded by Prof. Shahram Yousefi, Dr. Mohsen Omrani, Ethan Heming, and Hassan Nouri. Shahram is an academic at Queen’s University who is a world expert in algorithms. Ethan (MSc, currently completing his Ph.D.) has a unique background in engineering, health, and neuroscience. Hassan is a veteran software developer while Dr. Mohsen Omrani is a medical doctor and neuroscientist with a salient appetite for technology. MESH AI knits the fabrics of the healthcare sector in terms of human resources (HR). It fills loopholes created by manual scheduling techniques, which are prone to human errors. Mohsen and Shahram first started looking at the problem of healthcare staff scheduling to improve the working conditions of medical residents and nurses who tend to work long and inhumane hours. They were appalled that patients had to suffer due to staffing errors and unavailabilities. As a solution, they focused on designing a system that makes the delegation of tasks and shifts easy. They also realized how much time and money their platform could save healthcare institutions while also improving the working conditions and relationships between employers and employees. MESH AI leverages the power of the cloud to provide a versatile scheduler that makes assigning of responsibilities an effortless process by allowing managers and administrators to handle staff assignments and requests in one centralized place. Over the last decade, the healthcare sector has become an evolving industry that has implemented technologies such as 3D printing, state-of-the-art surgical machines, and even the use of robots to assist surgeons in daily operations. The paradigm shift towards technology is visible in nearly all aspects of the healthcare institutions. Artificial intelligence (AI) is the driver of dozens of these technologies. In healthcare today, the most commonly used AI applications are algorithmic evidence-based approaches programmed by researchers and clinicians. One area where AI has played a crucial role is in the designing of the medical scheduling software. Due to this cloud-based tool, administration, as well as healthcare professionals, can proactively manage their schedules to avoid confusion and dissatisfaction among staff members. It goes a long way in streamlining administrative tasks, staff swap management and promoting equity among your team. A standard hospital receives more than 500 patients per day. Among these patients, some may require specialized treatment, emergency attention, while others are just visiting for regular checkups. Hospital administration, doctors, clinical officers, nurses, accountants, bookkeepers, and other staff members must coordinate and collaborate effectively with each other so that each patient receives the highest quality care possible. Managing all these variables can get quite tricky, time-consuming, and costly. Often times, administrators adjust schedules because of unpredicted changes. In such cases, scheduling and rescheduling staff and patients can be overwhelming. This is where MESH AI comes to the rescue. Their proprietary technology and intuitive interface enable users to adjust their schedules in real-time. It’s deployed via a web portal, and it supports native iOS and Android apps. The scheduling software takes the form of a cloud collaboration tool that it is designed to facilitate accurate scheduling processes. The software takes into account staff preferences, specialties, vacation/leave requests and unexpected surge in patients all calculated to create an optimal scheduling program. Through the dashboard, the admin can monitor all that is going on thus allowing him/her to handle requests in real-time. Chaos can easily arise when a staff member questions why someone else has been given a vacation leave, but his/her request has been declined. MESH AI promotes fairness and transparency as every user can see who is at work, who has made an early request, and who is asking for a shift swap. 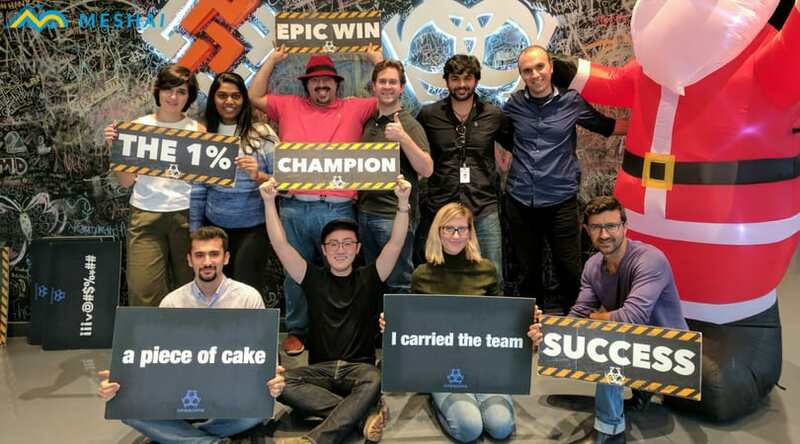 The software assists in building a harmonious workplace as the staff will be able to see for themselves that it may not be plausible for them to be granted a one-day or a month’s leave. Teams can agree to swap shifts on the Task Scheduler Portal. The person in charge of the process can view the staff who have requested for shift swaps. Also, the admin can utilize the analytics tool to predict peak and off-peak hours thus enabling them to grant more/less staff members time off. Moreover, with correct real-time and up-to-date shift information, one can also see all of the on-call doctors, nurses or lecturers (if it were a medical residency program) in one centralized place. For example, switchboard operators in healthcare organizations are able to see when doctors and other staff members are on-call at specific times, eliminating related scheduling errors. Indirectly, this can improve patient and third-party experience for those needing to reach a clinician or practitioner quickly from inside or outside the unit. The MESH AI software can be integrated swiftly with other scheduling programs such as the calendar and reminders to enable operators to manage everything in one place. These reminders can also be easily incorporated into basic Google/Apple/Outlook calendars. Switchboard operators are able to export scheduling reports to the HR department to facilitate processing of payrolls and insurance. The hospital CEO can request analytic reports to enable scheduling of universal training to all staff via the portal. When all tasks are coordinated via a single platform, it creates consistency and accuracy thus bolstering trust. Such integrations enable seamless cooperation between various departments and promote better employee-employer relations. Platform users can utilize the forum to interact and discuss anytime using any compatible device. Users can view the contacts of every staff member including the heads of various departments. This eliminates emailing processes that are often bogged down by delays. The forum is a platform where the staff can communicate with one another and agree to swap shifts without the intervention of the admin. Nonetheless, despite the AI (artificial intelligence) in MESH AI, managers are ultimately always the ones in full control. Shifts can be assigned manually before the engine runs and manual tweaks and edits are also available before the schedule is published to the staff. 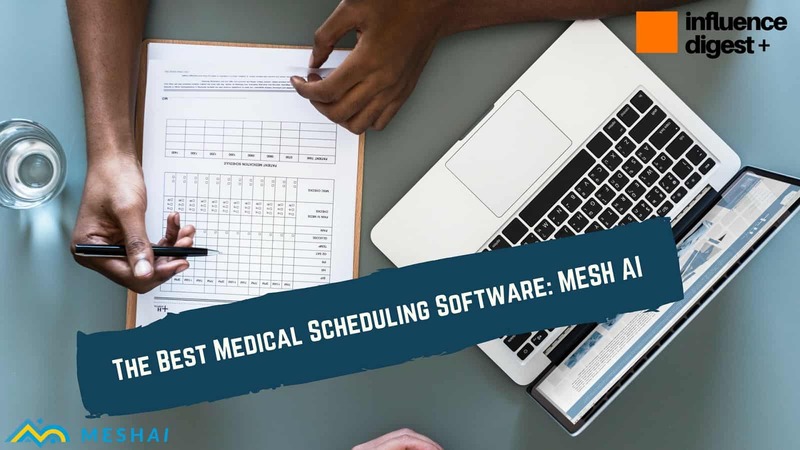 The purpose of MESH AI scheduling software tailored for medical residency programs and hospitals is to automate scheduling processes to foster equity, transparency, communication, and consistency. Promoting fairness in handling leave, vacation and shift swap requests. Even the payment processes are flexible. They are a no-contract/no-commitment business meaning you can opt-out whenever you’d like. Most vendors are SaaS operators, and they offer their services via the subscription module. MESH AI is designed to be a low-touch scheduling software with no extra bells and whistles or any unnecessary features. Long gone are the days of cumbersome and lengthy software training: if one knows how to use a basic Google/Apple/Outlook calendar, one can use MESH AI right “out of the box”. No matter how large the hospital, program, or organization, the tool can be launched in a day or two, and there is virtually no transition time needed. Now, that’s true low-touch software design! MESH AI also boasts adherence to Google’s 3 Principles of Excellence in software targeting which are focused utility, simple design, and crafted execution. 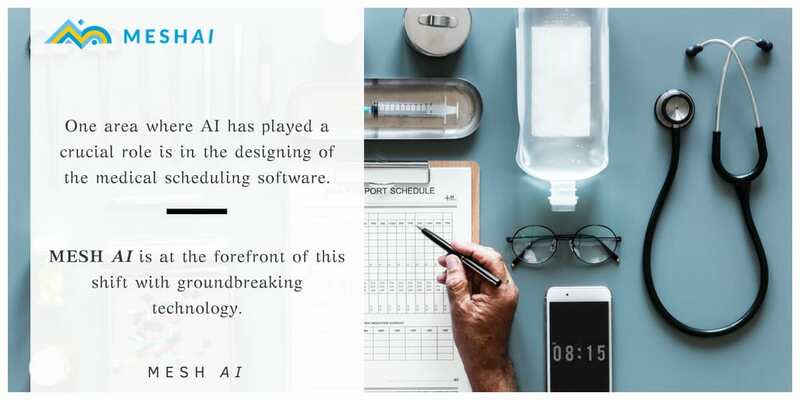 MESH AI is revolutionizing the health sector by providing a cloud-based switchboard that enables automated task management and scheduling thus reducing the friction between employees and management. It’s an ideal cost-effective option for health institutions and residency programs that require a system that can be used on the go. Whether you own a small clinic or a statewide health residency program, try MESH AI to automate the process of task scheduling today!! For more information, contact them at info@meshai.io or visit them at https://welcome.meshai.io/ . Their dedicated team is ready to help add harmony to your healthcare workspace.